When Alexandre Bissonnette attacked a mosque near Quebec City, killing six men and injuring several others, he became a hero to Canada's far-right. Now, hate crime expert Barbara Perry believes Bissonnette's long sentence could cement that status. In the wake of Quebec mosque shooter Alexandre Bissonnette's sentencing to life in prison with no chance of parole for 40 years on Friday, one extremism expert says that the decision could further fuel far-right groups. Barbara Perry, director of the Centre on Hate, Bias and Extremism at the University of Ontario Institute of Technology, follows the activity of extremist groups in Canada. Following Bissonnette's attack that killed six men on Jan. 29, 2017, there was an uptick in anti-Muslim violence according to Perry. One mosque in Edmonton has already increased security. Arif Ali, president of Markaz Ul Islam mosque, told Day 6 that they've received threatening, racist letters for three weeks. Perry spoke with Day 6 host Brent Bambury about what she's watching for in the days to come. The sentence is less than what the survivors of the attack and the families of the victims had wanted, but how do you think this sentence will be seen by the people on the far right? Yeah, I think the two sides will see the sentence very differently. I think on the one hand, the Muslim community — and I think a lot of the Canadian community generally — will think that perhaps this is a light sentence given the heinousness of the crime and the messaging associated with the crime. But I think the far-right ... might have a couple of different views on it. On the one hand, yeah, they might also see it as having won one here in that it is lower than anticipated. But I think regardless of what the sentence was going to be it was always going to be seen by the far right as, you know, inappropriate for someone like this — one of their heroes, if you will — to be held to full account by the law anyway. 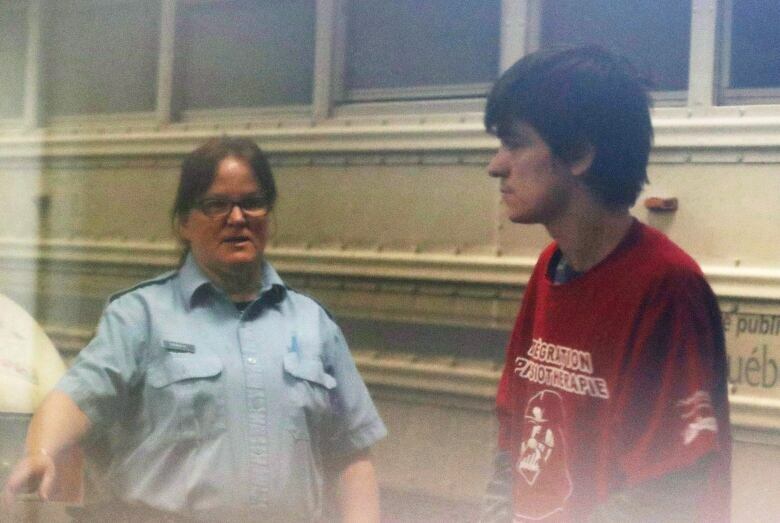 So it's going to be used as more of the platform I think to create a martyr of Bissonnette. 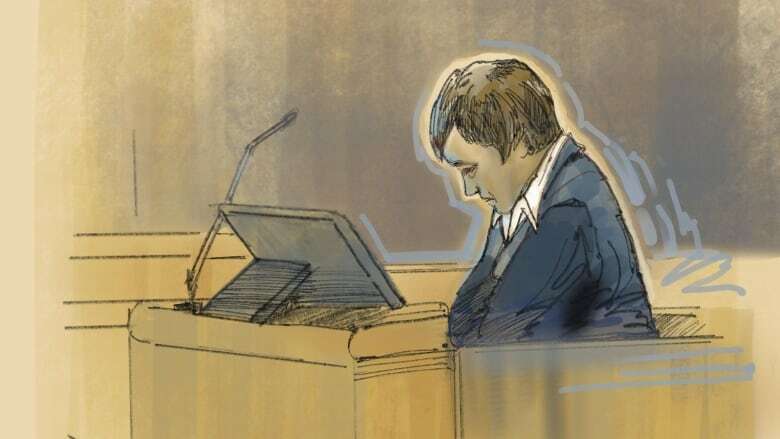 But does an event like this, a sentencing for a crime that the judge today — Judge [François] Huot called it a hate crime. Does it produce more activity among far-right extremists in Canada, in general? I think it has that potential. I mean, if you think back to when the murders occurred, within the first few days after the murders there was an uptick in anti-Muslim violence in response. So I wouldn't be at all surprised if we see a bit of an uptick here as well. As the first one was taken as a call to arms, I think that the sentencing decision will also be taken as a similar call to arms and, you know, an opportunity to unite around Islamophobia which really the right has been doing quite consistently for the past couple of years. That really has become the lightning rod for them. How did they do it after Bissonnette carried out this crime in January 2017? How did the far right extremist groups in Canada seize that moment? I think they've sort of seen him as a martyr as [Toronto van attacker Alek] Minassian has been portrayed as a hero by the incel segment of the movement. We're seeing the same sort of thing here from the Islamophobic and the anti-immigrant pillars, columns within the movement. We've seen the same sort of chatter and same sort of idolizing almost of Bissonnette by the far right. So, it is someone who is, in this case, sort of taking one for the cause and had that strength, had that courage to act on the sentiments that so many others sadly share with him. But Bissonnette acted alone here. It's clear that he wasn't a card carrying member of any of the far-right, neo-Nazi groups. So when you look at those groups, how organized and how dangerous are they really when it's the lone actor that is the one that steps forward and commits these terrible crimes? Well, where does the lone actor get their fuel? It gets it from the movement. So the movement is dangerous from that perspective. But I think also, you know, the movement itself and groups differ in terms of their level of organization. 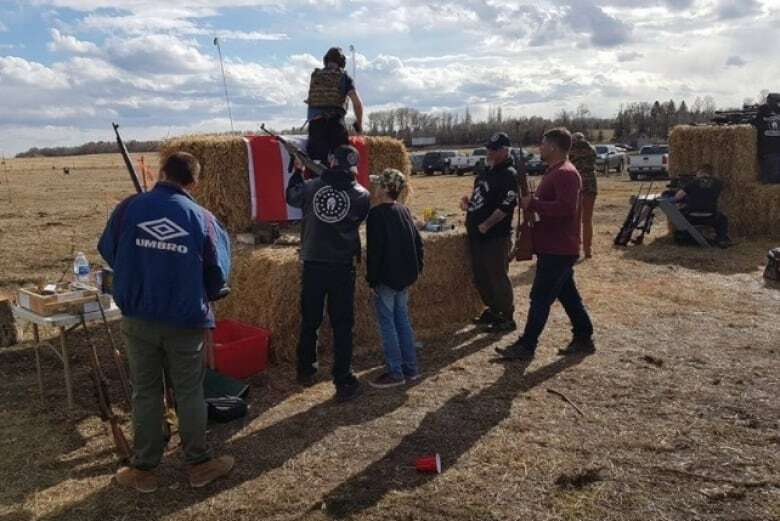 If you think about groups like Three Percenters, for example, [they're] very hierarchical, very rigidly organized, engaging in paramilitary training — as are some chapters of Soldiers of Odin. And then there are other smaller groups like Ontario Skins, those sorts of things, that are small clusters and tend to morph really quickly. So, we can't really generalize about the groups but I think there are two pieces here. One is that there are violent members of the movement regardless of how organized they are. And the movement itself, by virtue of their visibility, and by virtue of the ease of getting access to their social media platforms, also feeds into these sentiments that the lone actors also share with them, while not necessarily being part of the groups themselves. There's both the immediate and the indirect impact, I think, of the groups. The web sites that Bissonnette obsessed over were pretty mainstream. They weren't the websites of the groups that you just mentioned. Why do you think Justice Huot made a point of bringing them up during the sentencing? It's because, well, he wasn't sort of consistently on those as he was on say, you know, Trump's Twitter feed for example. He was still sort of a fan of those sorts of sentiments. But I think it's also since then so much has changed even just in the last year and a half or so in terms of the visibility of these groups and I think that he's concerned about the fact that these echo chambers will create more people like Bissonnette. And in fact, right now I think in this context he's probably fearful of what the consequences will be of seeing the kind of chatter that you've been referring to, should they come across it on the net. Will this unite the right? Will this unite Islamophobes? And I fear that it will. This interview has been edited for length and clarity. To hear the full conversation with Barbara Perry, download our podcast or click the 'Listen' button at the top of this page.